About 500 people are gathered in Quito, Ecuador right now for International Living‘s Ultimate Event 2010. They’re learning about life in a bunch of countries where it’s possible to live well on $2,000 a month or less. Can’t be there with them? They’re offering the Ultimate Event 2010 Conference-At-Home Kit, and guaranteeing satisfaction. “If This Information Doesn’t Help You, Pay Nothing” they state. Substantial discounts are available if you order now. Back in the U.S. another winter storm threatens the east coast, stock prices are diving thanks to high unemployment rates, the painful health care debate continues to make us all sick, and Conan O’Brien is in the news. For joining Twitter. Who cares…about any of it? Wouldn’t it be nice to fall in love with your life again? To find a place with better views out your windows, better weather, a lower cost of living, and where things really work? And the cost of living is low. In Montevideo, Uruguay’s famous colonial city, Lee showed us photos of a two-bedroom apartment in a building offered for $65,000. “This is a nice apartment—I would happily live in it,” he said. Glynna Prentice acknowledges that Mexico, where she lives, isn’t the least-expensive country. But, she says, in Mexico you can get government health insurance for $300 or less a year. And that includes all your prescription medications. A private insurance plan, she says, is half the cost you pay at home, as are out-of-pocket expenses. And this isn’t publicized, but Mexico offers a great retirement program for anyone living there as a resident. Lots of discounts on things like restaurants, cultural activities and medical care. Glynna says Mexico may be the easiest country for a foreigner to get a resident visa in. But Lee Harrison says that about Uruguay, where he plans to apply for permanent citizenship. And Dan Prescher says the same about Belize and its famous Qualified Retirement Program, which allows a host of benefits including importing your household goods, vehicle and boat duty-free and tax residency…whether you actually live there or not. Belize may be the easiest country to relocate to—especially if you’re concerned about the difficulties of learning a foreign language. There’s so much more to tell you! 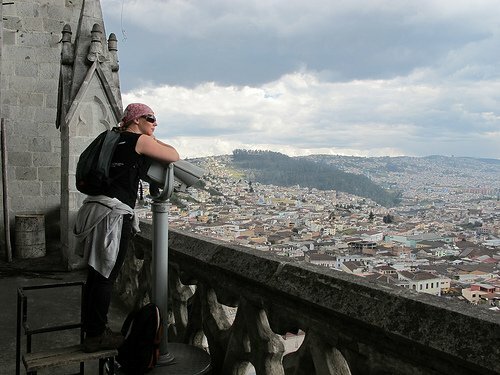 But of course, I can’t type up everything that’s happened here in Quito. In just two days so far, we’ve already spent 13 hours in presentations and workshops. And we have two days yet to go! We’ve learned about the best countries for second citizenship, the best countries to obtain residency easily and at little cost, and which provide free or very low-cost health care to residents. That definitely helps us know where to look to find the location of our dreams. And thanks to our speakers, we now have a very good idea of how much it will cost us to live in these countries, including the costs to buy a home, apartment, or acreage. We’re putting together a complete package of nearly everything that’s happening at this event, with audio recordings of all 76 of the presentations. We’re also making copies of all the speaker handouts, PowerPoint and visual presentations. And, of course, the complete dossier we give to each attendee when they showed up here at the Swissotel in Quito. It’s the Ultimate Event 2010 Conference-at-Home Kit—and it covers every aspect of the 2010 Ultimate Event. Would you be interested in attending a conference or workshop to learn more about living overseas? Have you ever attended one? Share your thoughts by clicking the comment link below. 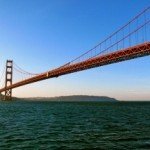 Don’t miss another Future Expats update! Sign up for convenient email RSS delivery here. Having traveled through 43 countries across 6 continents, we have seen all sorts of other ways to live life, most of which are not only cheaper than living in the US, but in many ways more fulfilling. I am interested in the kit you’ll be offering as well as in info on future conferences. Please keep me posted. Steph, it’s International Living which is offering the kit mentioned in the article above, and their conference. You can get details if you click on the links in the post. Just wanted to clarify. I’m 38 and I’ve had it with the greed of the U.S. that influences are healthcare and the food that we eat. I’d like to find an english speaking country that has free quality healthcare, tougher restrictions on food and a place where I can continue to run my marketing firm business. The problems with US health care and food are definitely related — the more we have agribusiness managing our food supply, the more removed it becomes from “food” and becomes processed food-like junk. Which impacts our health in a big way. Between big pharma and agribusiness, we’re in a lot of trouble, IMO. Our health care is the most expensive in the world, yet our life expectancy is declining and our infant mortality rate is outstripped by countries like Croatia. When you find your perfect country – English speaking, free quality healthcare, and tougher food restrictions, let me know! HMA! 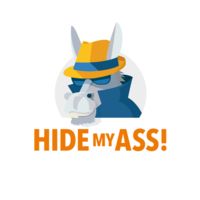 Pro VPN - 12 Months. Best VPN for USA Netflix Streaming! 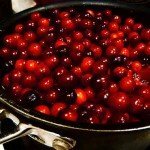 Thanksgiving Traditions — Are they the Same Overseas? How Do You Plan for the Unknown? Portable Careers — Can You Really Make a Location-Independent Living? 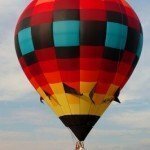 Top Expat Blogs – How Cool is That? Here's a new award. 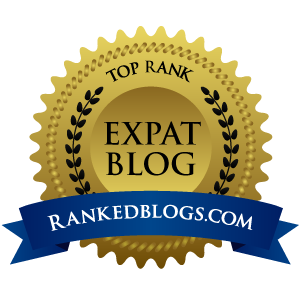 . . We've just been named to the Top Expat Blogs list at Ranked Blogs! If you like us, click the link and vote us up! Future Expats was recently awarded a spot in the Top 100 Expat Blogs.